Few wagons have made an impact on drivers around the world, but the Chrysler Pacifica was one of the only ones that provided luxury as well as comfort. This upscale wagon was manufactured for 5 years and lead much of Chrysler’s success around the world. Although the Pacifica was retired in 2008 in favor of the Journey, the 3.5L V6 engine that powered it is still in production and we have Chrysler Pacifica car engines for sale in stock. One of the differences between this V6 engine and standard truck or V6 engines is the consistency of the gas mileage. Not many V6 engines are able to produce a winning fuel mileage ratio above 20 MPG. We have an easy to understand inventory. What we carry are Chrysler engines including the subsidiaries that are in used or remanufactured forms. The only difference between the two is the addition of genuine parts that are exchanged on the remanufactured versions. The engines are identical in terms of quality and operation. We do this all for less money than most dealers could do it for and this has helped us gain a lot of ground selling online. We have a full inventory of car engines for sale ready for shipment anyplace in the world. We don’t make changes that are not a part of the original design. This goes for used or rebuilt engines. Some dealers like to tweak things that they think are not as good as they should be in the original OEM specs. Since we employ certified mechanics, every step that we follow when rebuilding engines comes from the training that these experts have received. Nothing is out of place or out of the ordinary for any motor that is rebuilt in our factory. Each of the Chrysler V6 engines are still capable of up to 250 horsepower and are not modified in any way, shape or form. We put out OEM engines and will settle for nothing less than genuine Chrysler quality. We know that engines we sell will end up in dealerships, junkyards and in the cars of customers everywhere. We ensure accuracy with our testing of engines to build commitment with our customers. We cannot sell an engine that will blow out too soon. The extreme care and attention that we put into what we sell is apparent in the condition of our motors. We love selling Chrysler products and getting what you need online is easy. Our staff is educated and professional. Each of our car engines are hand picked and distributed fast from our warehouse. We also reduce the cost of shipping that you pay and combined with our already low price this adds up a lot. 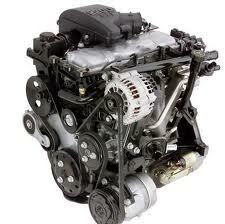 We give you a low price and complete guarantee of satisfaction when buy engines from www.carenginesforsale.com. We give out our prices right on this website. Use our Pacifica quote form to get a super low price for a 3.5-liter engine. You can even call us toll free at 1-877-630-3873 and get the same information. We’re helpful, courteous and we want to save you a lot of money buying used or remanufactured Chrysler engines.